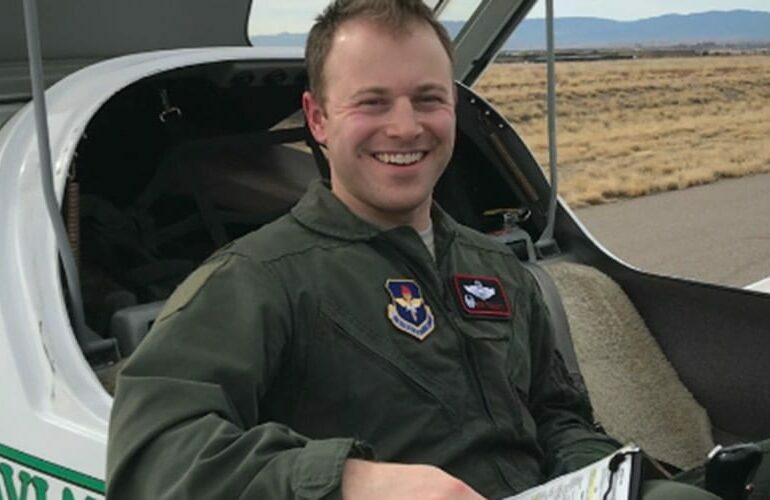 Making the choice to pursue officer or career field selection in the Air Force is a significant decision to be faced with. Once you’re in, though, it can lead to a career of service, sacrifice and an opportunity to continue working up the chain of command. And it all starts with the Air Force Officer Qualifying Test. The AFOQT is a tool utilized by the officer candidate selection board, and is made up of 12 different subtests. These secondary tests range from “Arithmetic Reasoning” to a “Self-Description Inventory” and are used to calculate seven composite scores in different sections. Sound confusing at all? It’s a lot to take in. But with a focused approach and the right preparation, acing the AFOQT is not as far from your grasp as you may think. At least that’s how Connor Campbell and Michelle Rodriguez did it. Campbell was a teacher when he decided to make a change. He had been working in a school for three years, and was in need of a change. That’s when one of Campbell’s mentors, who also happened to be a former Air Force pilot, made the suggestion. From there, it was a matter of preparing to the AFOQT to give him the scores he needed to make the move into the ranks of the armed forces. With so much to study for, sometimes the best approach is to take it section-by-section. Campbell’s teaching background gave him a better grasp of certain sections on the test. Instead of wasting time on “relearning” he focused on the sections that were not as familiar. One of the most important concepts to grasp about the AFOQT is the structure of the subtests themselves. Understanding how the test is structured can help applicants better prepare for the mental task of sitting through the 550 total questions. Six different subtests feature 25 questions, but the time allotted for each section ranges from 5 minutes up to 38 for the “Reading Comprehension” portion of the process. There’s also the 240-question “Self-Description Inventory” and a 10-minute “Physical Science” section that spans 20 questions. By mixing practice tests and and an ‘online education’ (Google and YouTube), Campbell was able to highlight areas where he needed to brush up on basic knowledge. With a few clicks, he could find knowledge that helped him feel more comfortable in those areas. Using the varied approach, Campbell took the AFOQT head on, and is now sizing up his future career in the cockpit. Campbell found success with a meticulous approach. He used an app for flashcards, and would get in 5-10 minute bursts of brushing up on his vocabulary to brush up for that section. For another section, Campbell researched the type of questions that could show up on the test, and studied terminology that he was expecting to see to make sure he could understand what he was being asked. For Rodriguez, it was the gift of a study book that helped her turn the tide. She had been frustrated with online practice quizzes. Once she started using the book, which broke down the sections and provided practice problems, it was a different story. “If I didn’t have this book I wouldn’t have done as well as I did, honestly,” she said. Unlike Campbell, Rodriguez always had the Air Force on her radar. Coming from a military family, Rodriguez set her sights on a master’s degree early in her education, and knew that the Air Force could help her reach those goals, both practically and financially. Now she is a student at the University of Tennessee, Knoxville, and decided to take the AFOQT as a back-up plan in case grad school didn’t work out the first time. Like Campbell, Rodriguez felt she had a leg up on certain sections, especially as a college student. That still didn’t stop her from seeking out practice tests, though. Without a special waiver, you can only take the AFOQT twice, and Rodriguez said that added to the pressure. With all that on her mind, Rodriguez’ preparation won out over the pressure, and she turned out to be one of just six students that passed under her recruiter’s name. The crazy part? Rodriguez was also accepted into grad school around the same time, and after finding out that she would have to wait at least a year to enter the Air Force, is now on her way to the master’s degree she’s dreamed of. And with her AFOQT score in hand, Rodriguez still plans to enter the Air Force, and hopes to one day serve as a hospital administrator for the branch. It’s not exactly how she planned things out, but by staying focused on her goals and her commitment to contributing to her community, Rodriguez is well on her way to using her education to empower and serve others. Whichever route you go, these success stories show that preparation, having a plan and understanding the task at hand are all crucial steps in acing your AFOQT.